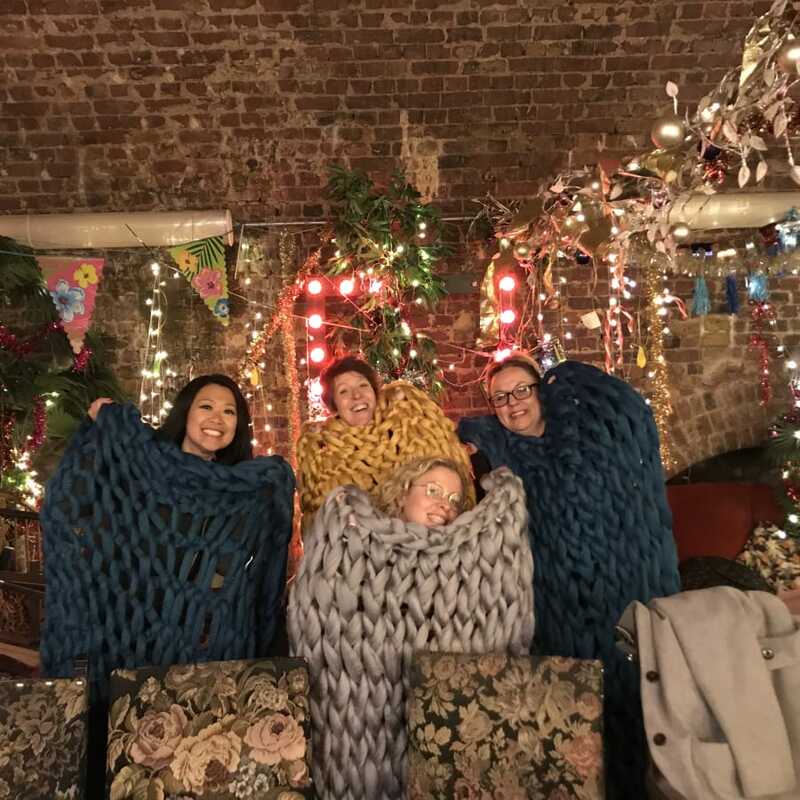 Come and arm knit a blanket with giant wool - you'll be finished before you know it! Knit with Woolly Mahoosive’s Mahoosive acrylic yarn, so big you use your arms as needles! Your teacher, Emily, will be hosting the class showing you the skills and techniques needed to make you blanket. 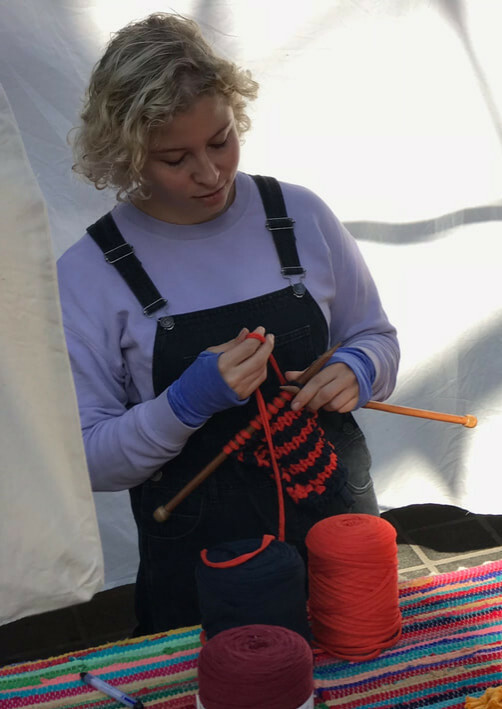 She will be there for hands on help as well as demonstrating how to knit! 2kgs of yarn is included in the price of the workshop, which should give you a blanket 75 x 125cm (or you can make a thinner double bed runner) and you'll be finished in the time it takes to do the workshop. There are loads of colours for you to choose from on the day! Fabulous workshop. Emily is very warm and welcoming. She’s knowledgeable and helpful, making the class a fun learning environment. You can choose your colours in advance on her website, or choose there on the day. By the end of the class, you have a lovely chunky knit blanket to take home as well as the skills to make another in the future. Would attend another class. It was both challenging but easy to succeed at! The first half an hour takes some thinking but then after that you’re golden. Such a great teacher, really helpful and hands on. Lovely choice of wool colour, a fun, social and relaxed atmosphere too. 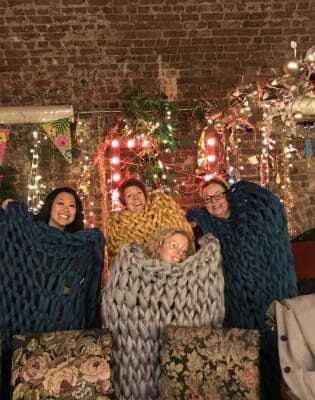 Everyone left with a blanket or bed runner that they had knitted themselves, ideal. Brilliant night out. A great teacher and nice gals all took part - highly recommend. Such a fun creative class. The teacher Emily was very helpful and got to home with a cosy blanket! Fantastic evening - lovely teacher and location. Instructions were very clear and friendly, and we got to take home a gorgeous hand-made blanket by the end! Would highly recommend. A lovely evening! Emily is a great teacher, everything was well paced and she was very patient. The blanket is easy to stitch once you've got the basics down and great to take home something that looks pretty tricky but only took an hour and a half to make! Good value for money too considering there are the same sort of classes out there for double the cost. Great session run by the wonderful Chap and Darling team. Tuition was clear and easy to follow and there was a great choice of yarn. Really happy with the end result! Amazing. This was a brilliant workshop. It was relaxed and the arm knitting wasn’t difficult at all. I’d definitely recommend it. There were lots of options on the day to make a bed runner or blanket or make a bigger blanket. I really enjoyed it. Excellent preparation. Excellent atmosphere and excellent teacher! Course leader is lovely and approachable. Activity is fun and achievable. Definitely recommend to anybody. You'll be provided with 2kgs of yarn, just bring yourself (and your arms! ).